A long while ago, before I even hit South America on this most recent trip, a company called Aye Gear approached me with a product. Their clothing is filled with pockets. And when I say filled, I mean jam-packed. I mean, there isn’t a single part of the piece of clothing without pockets. So, what is it good for? Well, for one, hidden pockets can be fantastic for travel. Especially if you’re planning on heading to places that might be a bit shady. 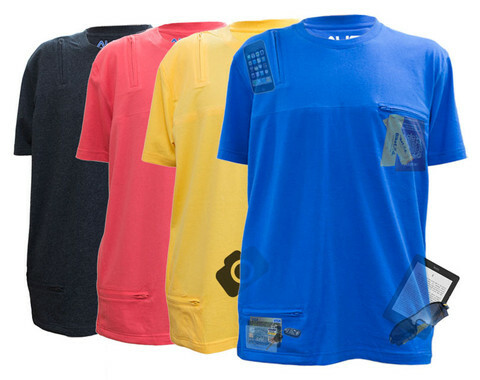 You can hide everything from bits of cash, to filled memory cards, to cell phones in the obscure pockets. 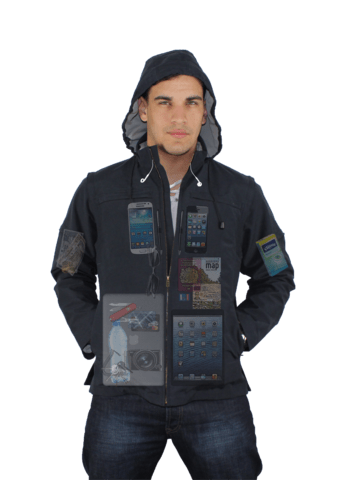 And well Aye Gear also claims their jackets are great for people trying to get a lot of electronics on a flight. I think the real benefit is for gear security. Here is my review of their product. The product is interesting, of course. And I think the general idea of it has some value. However, the clothing is lacking something important: style. The t-shirt I received is frumpy because there are just too many pockets on it. I think they went overboard. There are 5 pockets on my shirt. I think I need to use 2 or 3 at the most, and they all don’t have to be so big that it looks frumpy. With all the pockets, if I fill them up I look a bit like a pillow stuffed with bundles of cash. 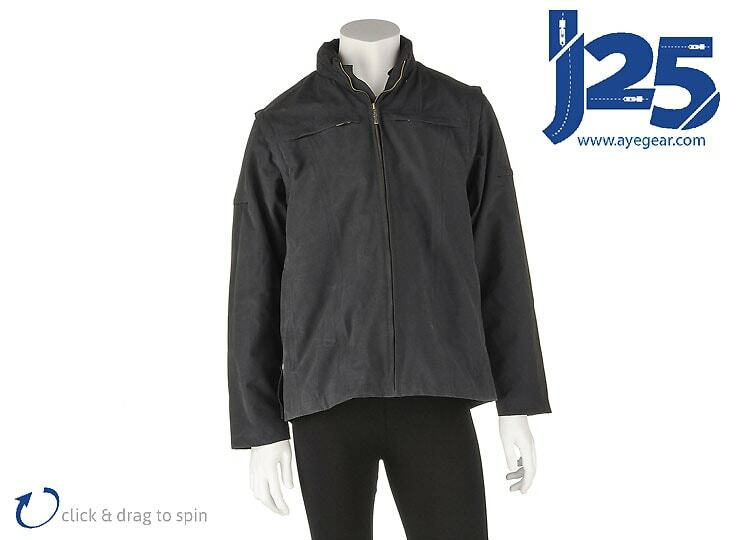 The jacket – which has 25 pockets – too lacks a bit of style. It just looks stiff, and functional. But I guess that’s the point. The clothing certainly is functional. The zippers are high quality, the material is also very high quality. And I think that if you’re only looking for functionality, you’ll find it here. Unfortunately for me, I don’t wear the AyeGear clothing hardly at all. Because no matter how functional, clothing has to look good too. As I mentioned, there are a number of benefits to the clothing. Although my review might not be the most glowing, there is a demographic of people who will love this clothing. Pickpocket-proof: The real benefit to the clothing is that it’s essentially pickpocket proof. Someone would need to take the clothing off your back if they wanted it. High-Quality Materials: The materials are quite high-quality. I’ve seen little to no degregation over the past year. Hidding Spots Available: If you’re a journalist, sometimes you need to hide your memory cards to protect your footage. There are plenty of hiding spots in the clothing. Overly functional: I think they went overboard with the pockets. In the end it makes the product frumpy. Pockets are Obvious: If your goal is to hide things, it wouldn’t take much of a look to tip people off that your t-shirt has a lot of pockets that need searching. Expensive: The t-shirts cost $45 and the jacket is $199. For me, that’s expensive for any type of clothing. Do you Really Need this Product? I think the big question with any product, is do you need it? My answer is probably not. Though there are people who might “need” this, I think they are few and far between. I think if the goal of the product is to let people carry a lot of things “hands-free” I don’t really understand why you wouldn’t just get a backpack instead. If the company’s goal is to allow people to hide things they might worry get stolen, they’d make the pockets less visible. And, if the goal is fashion, I think they missed slightly there as well. Now, I don’t want to sound overly negative. If you fall into the category of people that like the idea of the product, the AyeGear is made from quality materials, and will fulfill your needs. I have one last video from Brazil, where I’ll be taking the boat up the Amazon from Santarem to Maunaus. Then, I’m off to the Galapagos Islands, and I’m so excited to be heading back. On that trip, I’ll have 4-5 articles and even a gear review of the Canon 100-400mm f/4.5-5.6 IS II which I’ll be using there. Then, I’m back to Colombia for a trip to Tayrona National Park before heading back to North America for the month of November. Check out acotte vest, they have similar products that are much more stylish. Vest, jackets, belts etc. Even an infinity scarf with a pxokwtfor women.